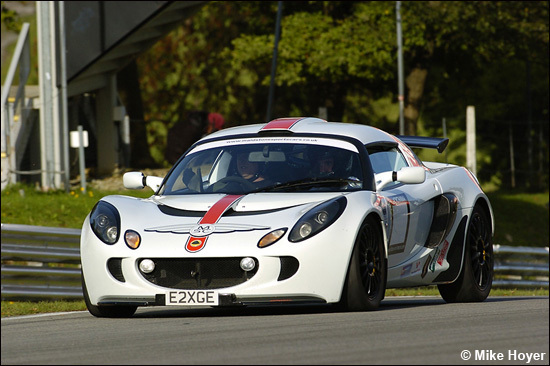 There was time for a spin in a rather special Lotus Exige for the dsc Deputy Ed. at a gloriously sunny Brands Hatch on Sunday: it was T-shirt weather.. at the end of October. The installation in the Exige, Elise, or even in a very splendid looking 340R, is extremely neat and the results on track are stunning. A bog standard Elise is no slouch, but this car pumps out 300bhp and it is accompanied by a very tuneful VTEC scream too! “This car could do with some attention to the handling,” said Randall as he threw the car into Paddock Hill Bend. To the untrained eye though the handling was sublime, and the braking too! An errant Ford Fiesta was sticking to the racing line like a drunken sailor and it was a case of pick your moment, make sure he’s seen you in the mirrors and blast past – and blast past this thing really does! With so little weight, the Deputy Ed’s “Who ate all the pies?” physique aside, the 300 horses provide an instant surge of power, humbling much bigger cars in the process: a Ferrari 355 was despatched with no drama whatsoever. The Lotus garage was a hive of activity throughout the day: it seems that the initiative to provide a stepping stone into real racing for the trackday warriors is off to a flying start. 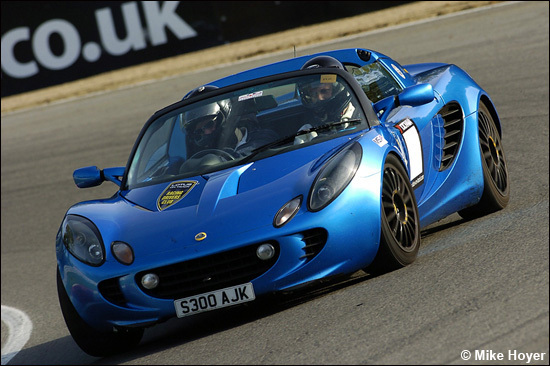 Lotus On Track is a thriving club anyway, with Lotus owners able to take advantage of a huge range of circuits, where they can thrash around to their hearts' content: anywhere from Abbeville and Anglesey, through the regular UK tracks, to Zandvoort in Holland - and it's very cheap! Spa is among the more expensive at £160 for the day, but prices dip as low as £60. 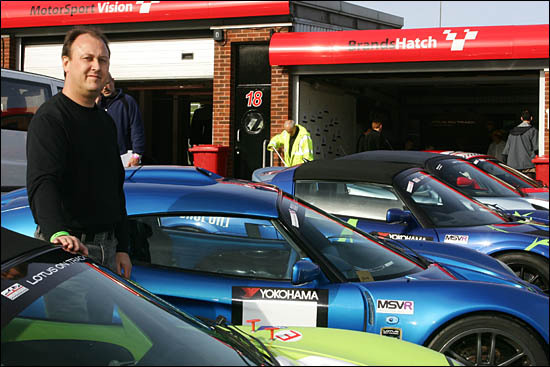 New for 2007 is the Lotus On Track Racing Club, "which is intended for our track day customers who want to go racing," explains Simon Scuffham, below. "Since the AutoBytel series folded, there has been nowhere for Lotus guys to race. No one takes any money out of this project, so prices are very keen - and we've planned it so that you can get on the grid for less than £10,000. All three classes run on Yokohama control tyres, "and there will obviously be tyre support at every meeting next year, while we've got arrangements with Safety Devices for the roll cages, plus suppliers of fire extinguishers, seats and harnesses. Three Lotus garages will be on hand with a wide range of spare parts, so the customer doesn't need to worry about parts being available if he has a problem." A lot of thought has gone into this 2007 racing programme: "13 of us are on the committee and we've spent hours getting together and working out the details." With five months to go before racing starts, "we're over-subcribed. The season starts here at Brands on March 25, and we've already got 45-50 people who want to race." The calendar, yet to be finally confirmed, is looking something like Brands Hatch, Silverstone, Oulton Park, Donington Park, Castle Combe, Snetterton, Spa and Brands Hatch. 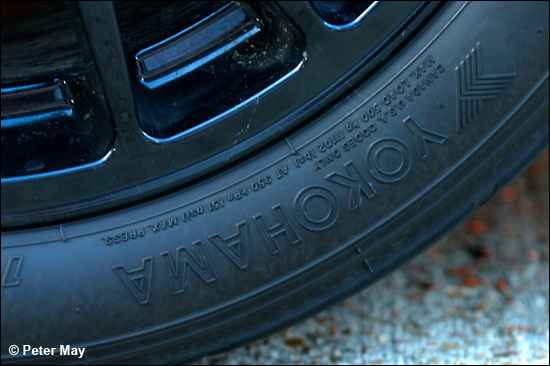 Class A - standard road cars, typically Series 1 and 2 Elises, fitted with the necessary safety equipment, plus a change of wheels to suit the Yokohama control tyres. A good number of drivers are planning to drive to the circuits, but the organisers will be laying on two or three trailers "just in case". Class B - more powerful cars but still road-legal and still fairly standard, and running on the same control tyres. Class C - typically the supercharged Honda versions, those running big K Series engines and supercharged Vauxhall VXs, all on the same rubber as A and B. There will be two races at each meeting, each of 20 minutes, preceded by 20 minutes of qualifying. "The first race is a straightforward scratch race," continues Simon Scuffham, "but the second one is a handicap race based on each car's best lap in either qualifying or in race 1. 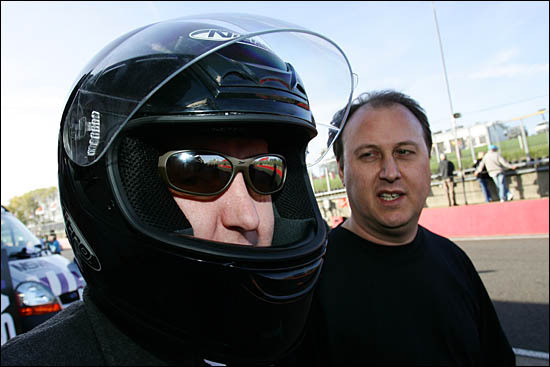 In theory, the whole field should cross the line and take the chequered flag together - it should be very entertaining! We're hoping to have Class A cars taking the overall win sometimes - while the Class Cs will have to make up three laps on some circuits. Half the points for the meeting come from the handicap race, with the other half from qualifying (one-third of the other half) and race 1 (two-thirds). "At least half of the drivers will be going racing for the first time," concludes Simon Scuffham. "We're aiming to keep it friendly, keep costs under control and make it entertaining - and we don't want any ********* racing with us!"